A swimming pool in your backyard is an excellent tool for recreation and relaxation. You can jump in the pool after a tiring day at work to refresh yourself. The weekends will be more fun as you can gather your friends and family and have some fun in your very own swimming pool instead of going somewhere else for the swim. Your swimming pool will become a great place to entertain and cool off in the summer heat. Having a swimming pool in your backyard can dramatically transform the life at your home for the better. From providing countless hours of entertainment to the kids to providing you an effective and efficient way of boosting your fitness, swimming pool value is definitely high for your family and lifestyle. It keeps you and your family active by providing an entertaining leisure activity that allows you and your kids some time away from the screen. The time in the pool is a quality family time that will take away fatigue and make you feel fresh, energetic, and healthy. There is no need to spend money on a resort holiday anymore as you will have a resort-style living right at your home all year long. 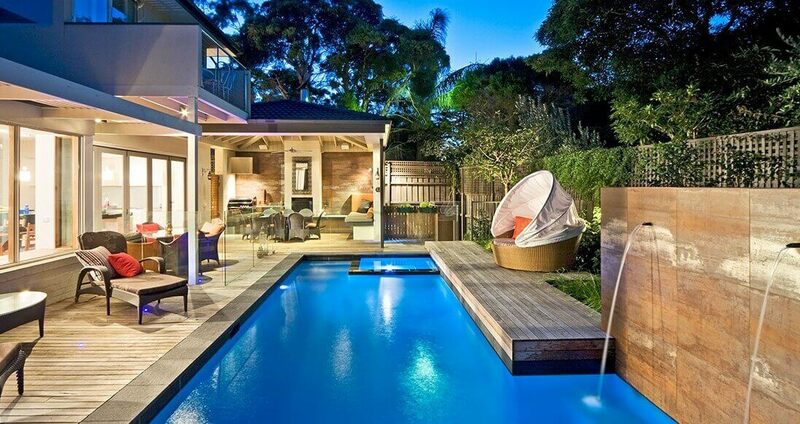 A pool in your backyard is an amazing thing to have. Now that you have decided to build a pool in your backyard, there are many questions to answer. One of the most common questions we get asked by the people who are planning to build and install a swimming pool at their home is, “How long it will take to build the swimming pool?”. Building a swimming pool from scratch is not an overnight job. There are a number of things to consider when you are planning to build a swimming pool and the time for each of the step varies and depends on various factors. The professionals at Natural Pools make the process of swimming pool installation a breeze for our clients. We have experts who make the work quick and efficient while making sure that the quality of work is at the top-class level. Let’s take a look at how these factors influence the time it takes for the construction of your swimming pool. These apply to residential pools, however, most of the factors considered are also common to commercial pools. Planning your pool construction can be a lengthy process. A swimming pool is a hefty investment and you want to make it right the first time. Thus, it is important to take time for your planning. There are various decisions that you need to take in the planning process. From the type and size of pool to the colour and placement, you will have to decide on it all before you begin the pool construction process. It is just the same as the time and effort you will take in deciding the important aspects when you are building a new house. And, if you are building your pool in your new house, you need to consider whether the landscaping needs to be done before the pool construction or after it. Similarly, other things such as pool fencing and tiling also need to be considered. You should also have a specific budget in mind before you embark on your journey or building a swimming pool in your house. You can discuss this budget with your swimming pool contractors to find out how much you can get in this budget and whether or not you will have to add more to it. Should you install the pool before or after if you’re constructing a new house? Should the landscaping be done before or after the pool installation? One of the biggest influencing factors when it comes to the time it takes for building a pool in your house is the planning phase. It is a time to decide on your preferences so that the process of pool building can go on smoothly. For some people, pool planning process is relatively quick but other might take months to decide on these factors, especially when a more complex pool is involved. The thing is, once you have constructed a swimming pool in the ground, it is going to be there forever. Thus, it is OK to take your time before deciding on how you want the pool to be. Another main factor that determines the timing of the pool project is the type of pool you’ve chosen for your residence. There is a difference between the construction time of a concrete swimming pool and a fibreglass swimming pool. Thus, when you are planning to build a swimming pool in your house, it is important to decide on the type of pool you want beforehand. If you are going for a pre-moulded fibreglass pool that comes with a prebuilt pool shell, you will save time. The installation of fibreglass pools usually takes about 2-4 weeks while it can have water in about a couple of days of its installation. On the other hand, a concrete pool takes more time for construction. Since the start of the works (excavation), we need approximately 14 weeks to complete the installation. Please see the overview of the pool installation project schedule here. One thing that comes as a benefit to concrete pools is the fact that you are not limited by size or shape in these pools. If you are looking for a pool that has a complex shape and a bigger size, then you should opt for a concrete swimming pool. However, these pools take longer to complete. Thinking of an inground spa attached to the pool? Add some more time to have it built, too. The installation of the pool is just one of the steps of the pool project. While the construction of a fibreglass or concrete pool might take just weeks, it usually takes 3-6 months for the households to feel satisfied with the landscaping and other things. Thus, the finishing touches of the pool depends on how much detail oriented you are and how much time and money are you willing to spend on your pool project. As the weather gets warmer, more people start thinking about installing swimming pools in their houses. The summer time is when we are inundated with enquiries about swimming pools construction from the people who want to swim in their pools as soon as possible. If you want to enjoy a lengthy summer in your swimming pool, the best time to talk with your pool constructor is June/July or even earlier. On the other hand, if you want to go for a cost-effective option, you can wait for winter as most of the retailers offer incentives during these months to fill up their winter time. Even if you decide to begin the process in January or February, you will be able to have the swimming pool ready by summer if you are able to complete the landscaping in time. You need to take permission from the local authorities to build a pool. It is important to file your application as soon as the planning process is finished. This, in most cases, will be done by your pool contractor themselves. The application should have all the details of the construction process, as well as an outline on how you intend to meet all the safety standards. The processing time for your pool permit depends on the demand as well as change from town to town. Keep in mind that it might take around 4-6 weeks to get the permit before you can go on and start the construction of the pool. It will take longer during the summer time as it is a busy time for pool construction. Keep in mind that the pool construction process cannot begin until the local authorities have permitted you to do it. Thus, the earlier you are able to send your application to the authorities, the lesser time it is going to take to finish the pool project in time. Pool construction is a big project. It will require several contractors, from concreters to electricians, pavers to fencer and others to work on the pool project. Thus, the availability and efficiency of one contractor can affect the time it takes to complete the task by the other contractor. In most cases, you will be provided with a list of preferred contractors when you get the services of a professional pool contractor like Natural Pools. As mentioned before, one contractor can affect the task of the other contractors. There are elements in the pool construction and installation process that rely on the other contractor completing their part of the pool project. For instance, you cannot switch on the pumps unless the electrician has established a power supply to the switches. Thus, it is suggested that you start your pool project with proper planning so that you are not left in the middle. You can reduce the risk of getting your pool project delayed if you have a pre-decided schedule for each contractor. Each contractor will come and work on their part of the job before the other contractors can come and start their work. The secret to success in any pool construction project is planning and finding the right professionals to do the job. If you are looking for the best pool option that offers unlimited flexibility, our concrete pools make the best choice. With us, you will be able to get your pool project (standard installation) completed in a timely manner and we will care for the whole project management and work organisation. Now that you are aware of the different factors affecting the pool installation timeline, let’s look at a typical concrete swimming pool project by Natural Pools. We allow 6 months to build the pool, from signing the paperwork to handover. The permit process can take anywhere from 8 weeks to 3 months. Unfortunately this is not a timeline we have much control over as it is site and project specific and we must act on the directions of the building surveyor. Once we have a permit we will excavate the pool within 14 days (allowing time to book excavators etc). Once the pool is excavated we will have the concrete shell constructed within another 14 days. At that point we will need to wait 30 days for the concrete to cure. This is often a great time for clients to complete other works, like landscaping or decking etc. Once the concrete is cured we will render and tile the pool shell then install the pool equipment and any heating options – like solar or gas. If the pool is being constructed as part of a home renovation or home build, we would typically build the pool shell before the house slab is poured or the home reno works begin to ensure we have maximum access. Most frequently the pool will be in the back yard so once other works begin that makes it difficult for us. Once the pool shell is complete we will leave until the house reno/construction is almost finished. We will then tile the pool and install the pool equipment. This way we protect the clients asset from any mishaps that may occur on site during the other building works. While this does drag out the pool build (as we are then dependant on the timeline of the clients home builder) this ensures a much better product for the client. Have Questions about Pool Installation? At Natural Pools, we have an extensive experience with installing swimming pools. Our team of experts can guide you through the entire process of pool construction and installation. Is this your first time with swimming pools construction? Do you have no idea how to proceed? The best thing to do is to contact our experts. The best time to start your pool installation or construction project is now. Talk to our team members and you will find them ready to help you with all the information you need. 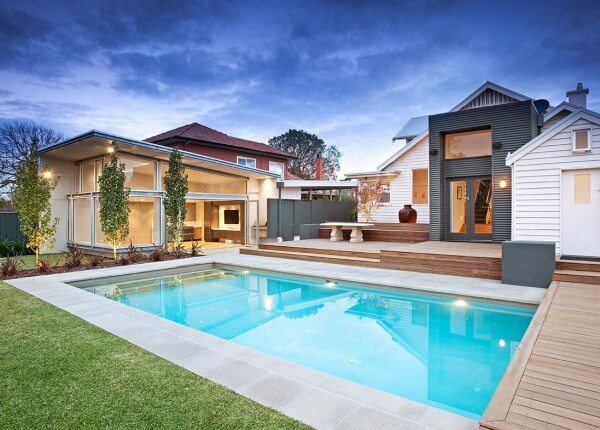 With the right information in your hand, you will be able to set off on this exciting journey of having your own swimming pool in your backyard. Installing a pool at your house is an exciting prospect and makes a great addition to not only your property, but also your lives. Get in touch with us today to get answers to all your questions by contacting us at 1300 NATURAL. You can also request a free quote by sending us an inquiry. All you need to do is fill out a form and you are good to go.